See what’s going on in your Z-Wave™ network! Perfect tool for both installer and end user who want to debug a Z-Wave™ network. * Regions other than EU/USA might have shorter range due to hardware design. ** Driver required. See download section. 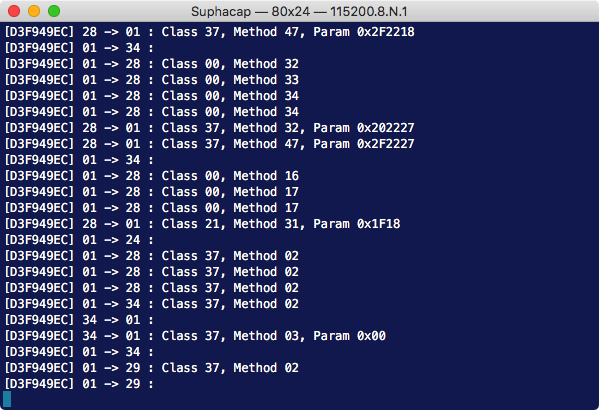 Suphacap can show all traffic. But some times you might want to limit what you see. Built into the unit there are filters for home id, node id and class type. More filters will come in the future. Here you see all the raw traffic near by you. Fantastic product a must have for bigger networks. A must if you have 100 devices. Developer has a clear plan for future versions. Fast response to enquiries. I already bought one device a few weeks ago and I can highly recommend the Z-Wave Sniffer as a tool to in depth investigate Z-Wave data packages (frames) floating through your network. It makes a lot of fun to watching how the Z-Wave sensors and actuators do exchange information with their route device (static route controller). The Sniffer works very well and Jon's support is really outstanding. 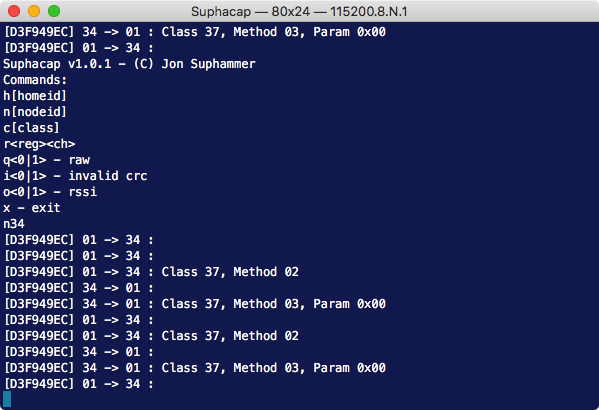 Driver (Windows and macOS) for Suphacap HW2. 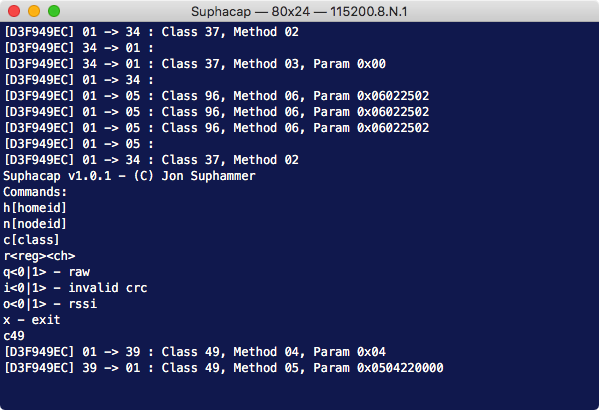 Driver (Windows 7 and 8) for Suphacap HW1. If any questions, please submit a ticket.